Farmers Home Winter. Mid 20th century oil on board signed Eadie, After George Henry Durrie.. Inquiries and offers invited. Stone House in Winter. Mid 20th century oil on board painting by Jack Whitaker. Inquiries and offers invited. Lake Louise by Frederick Priddat. 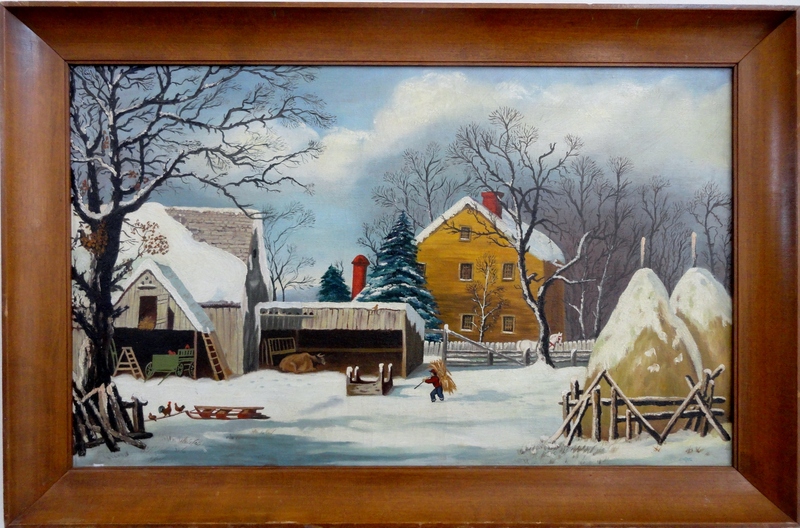 Mid Century Canadian oil on canvas painting. Inquiries and offers invited. The trees are bare, except a few. That Winter brings each year. Oh! To be a kid again. Children playing in the snow. 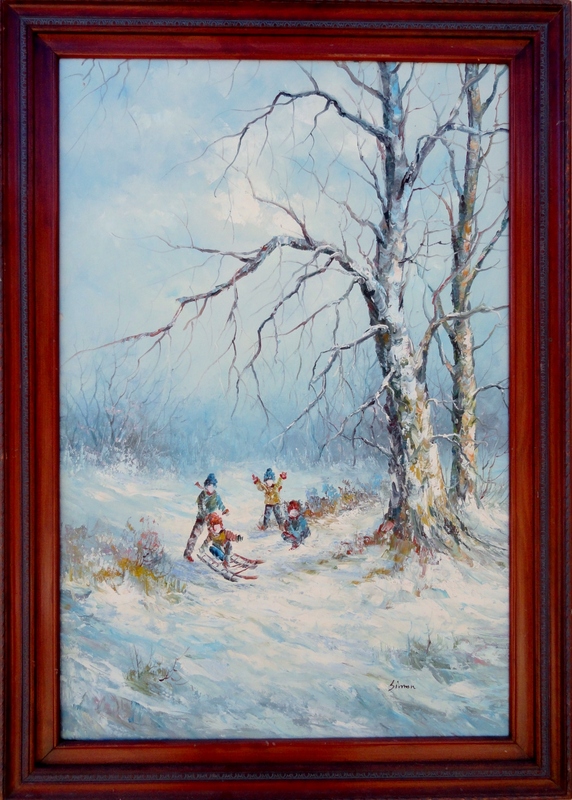 A late mid 20th century winter scene. Oil on canvas signed Simon. Inquiries and offers invited. 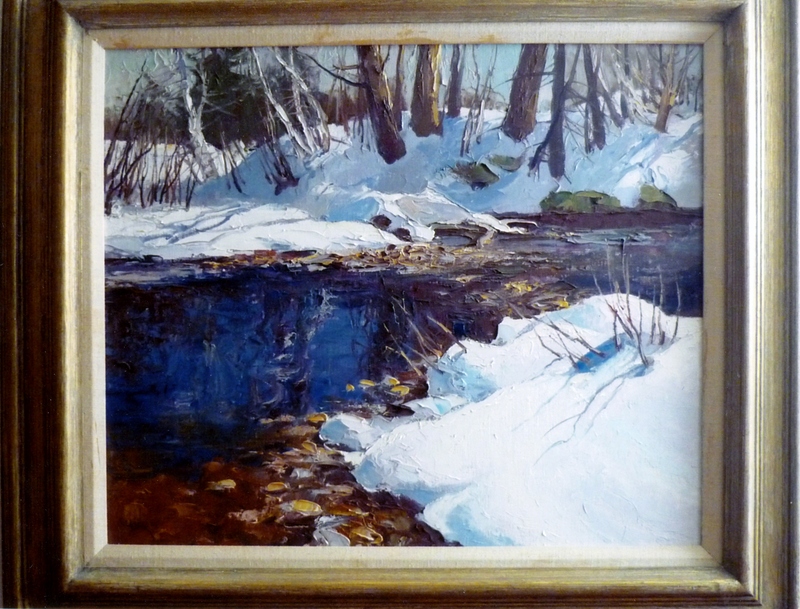 Original Mid Century Paintings of winter scenes by Eadie (after George Henry Durrie), Jack Whittaker, Frederick Priddat, Ken Gore, Simon, and Roy Besser. Inquiries and offers for the paintings are invited. The Ken Gore painting has already been sold. Your poem is a delight. the words give us such a fun look into the art you love so much. Truly, truly a gift to us all to see. Thank you. Thank you Margaret. And it’s so good to see you posting. I’ve missed seeing your messages over at Google+. Seeing you posting again is a gift for me.